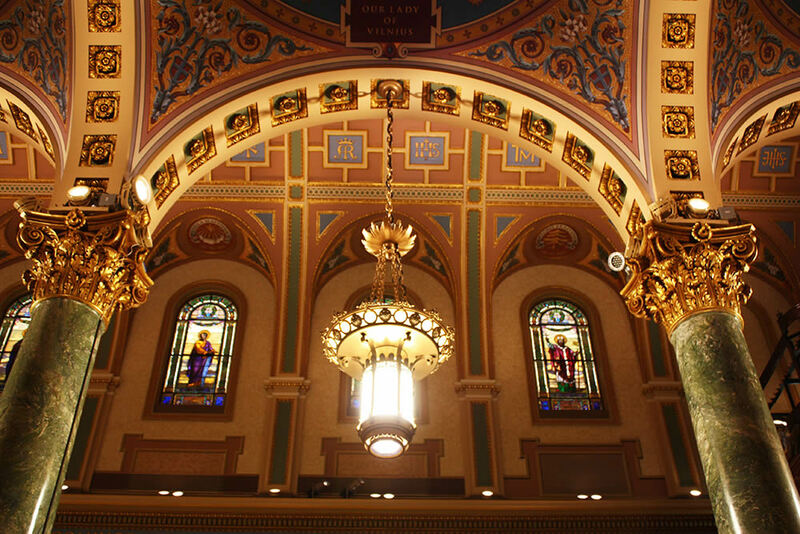 Originally built as a parish church to accommodate a growing Irish immigrant population, St. Joseph’s was elevated to co-cathedral in 2013. 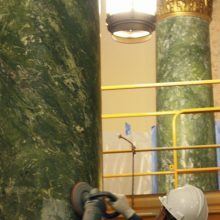 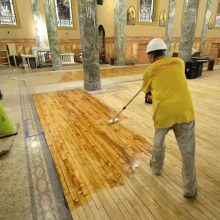 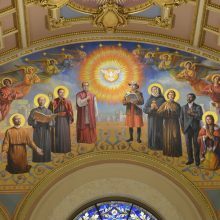 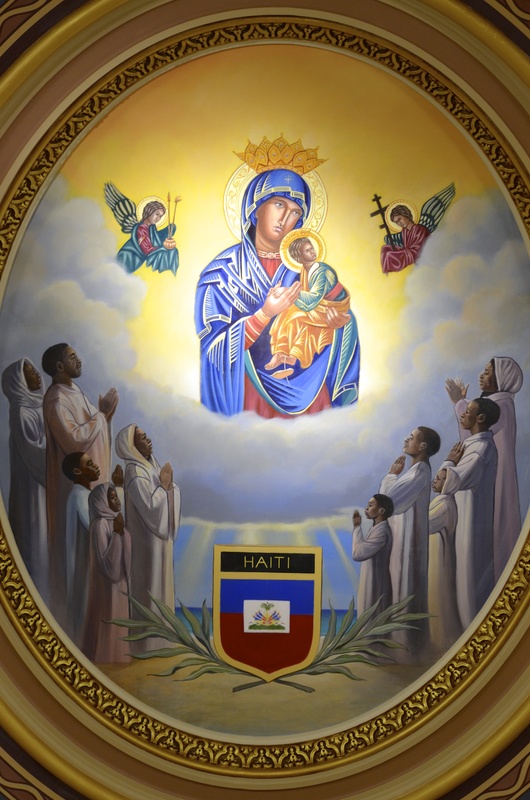 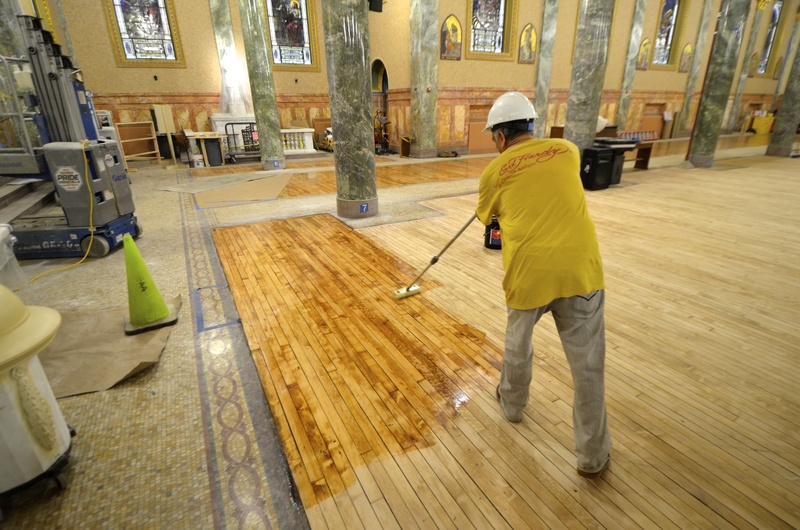 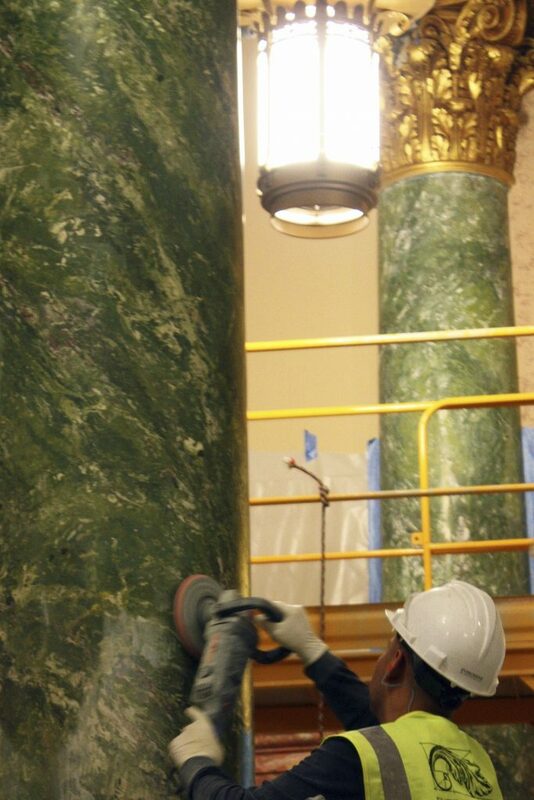 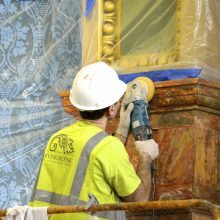 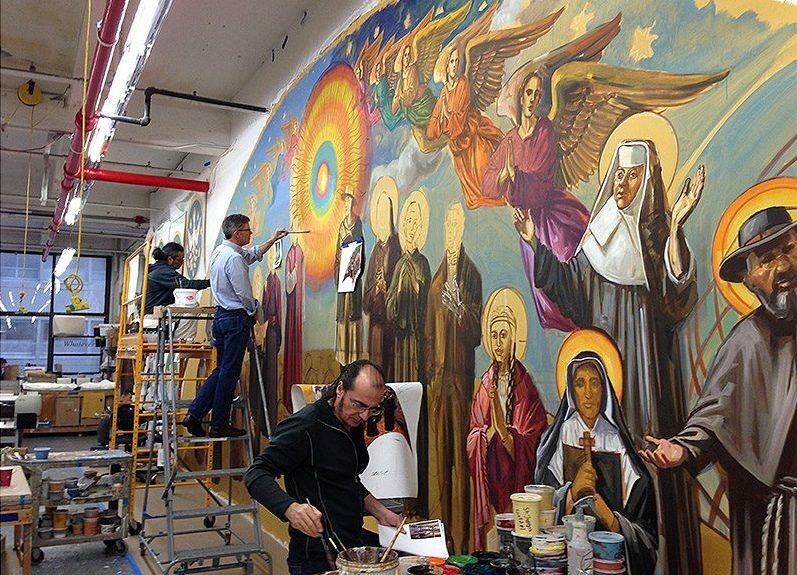 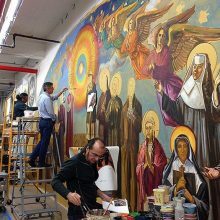 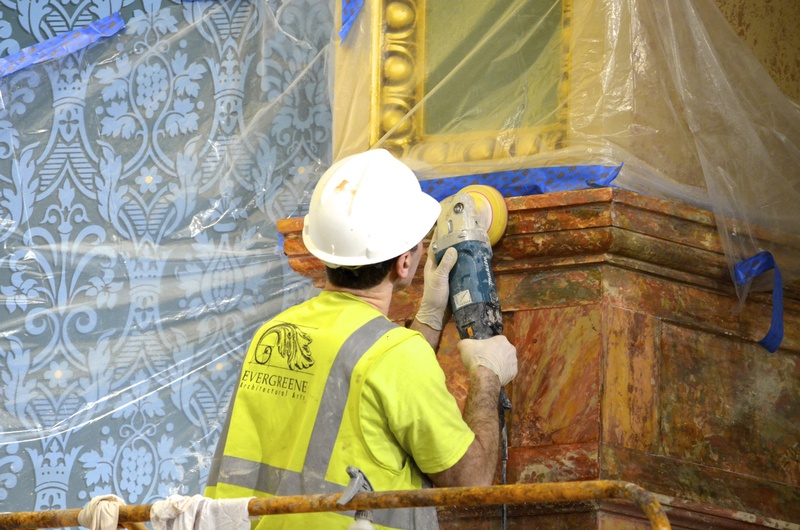 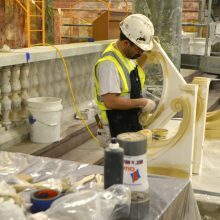 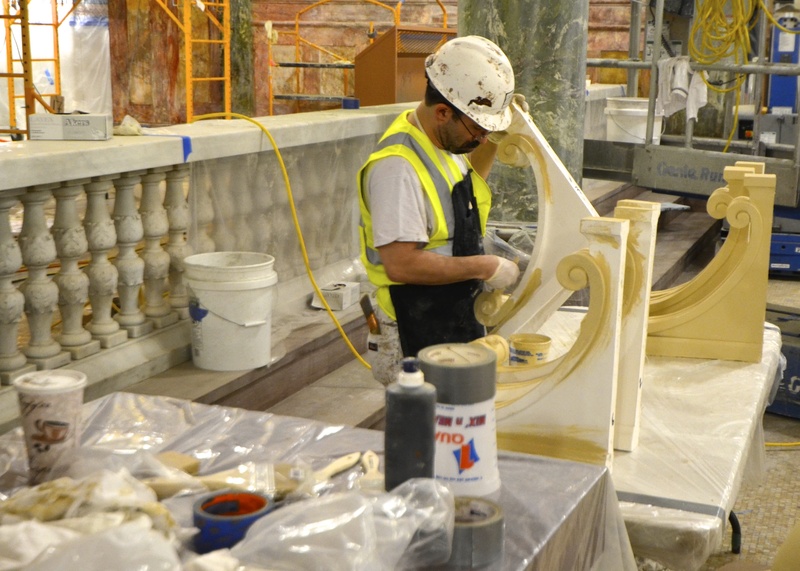 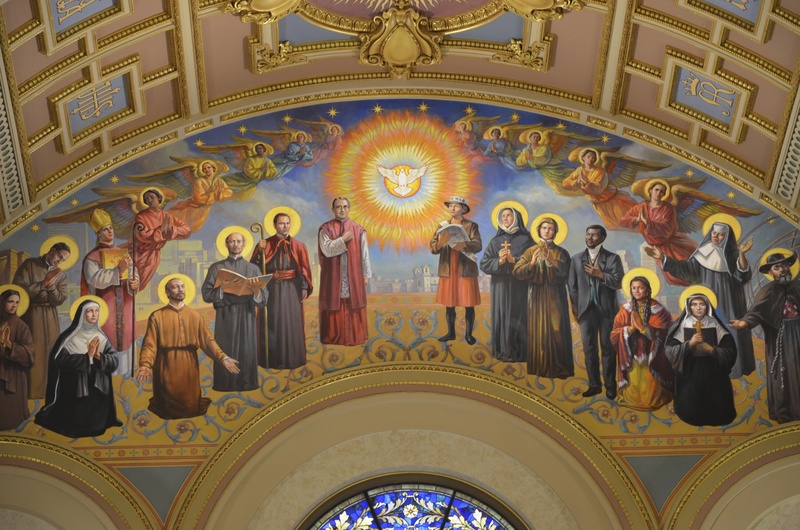 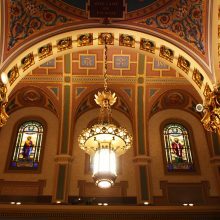 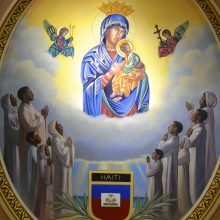 Recognizing its new status, EverGreene’s work began with a historic finishes investigation and included restoration of historic murals, plaster, scagliola and decorative painting as well as the design and installation of new artwork and liturgical appointments. 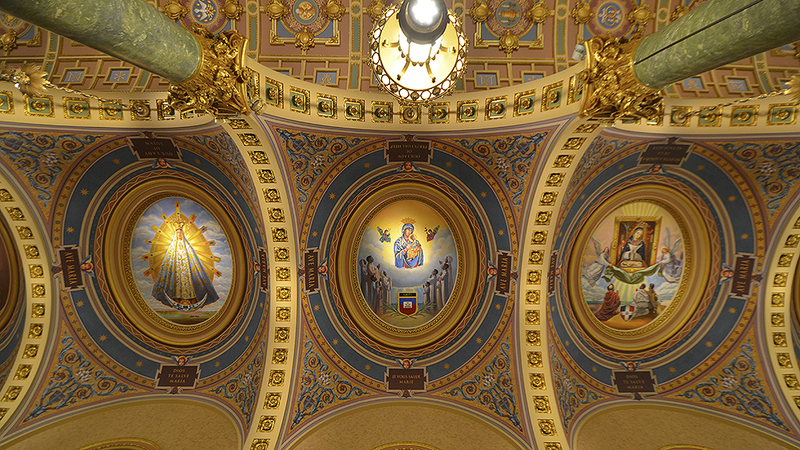 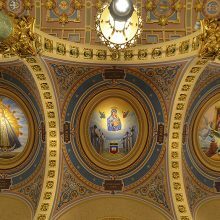 Medallions on the ceiling above the central aisle display the seven sacraments in procession and are flanked by the imagery of the holy family: Christograms, Marian monograms, appellations from the Loreto litany and bay leaves and lilies signifying St. Joseph.